At The Swing Factory We Make Learning FUN and EASY. Our patented Miyagi Golf System helps new or struggling golfers learn a better swing, faster. First, we acknowledge that hitting a small ball off the ground can be a daunting task for a beginner—so we don’t ask you to do that! Instead, you’ll learn motions and drills without hitting golf balls just like Daniel learned Karate from Miyagi without fighting. (Karate Kid 1977) Once you have the correct motion, you’ll learn how to hold a club to begin “air” swinging without a ball. To ease our students into ball striking we designed a larger ball and raised it off the ground! This unique combination has been proven to help golfers develop better and more efficient swings. We’ll gradually lower the large ball to the ground where you’ll “graduate” to a smaller ball off a tee. By developing your swing correctly you can begin hitting off the ground as you continue to prepare your whole game for the course. Come with a friend or make up your own group! Our Miyagi Golf System is perfect for juniors. 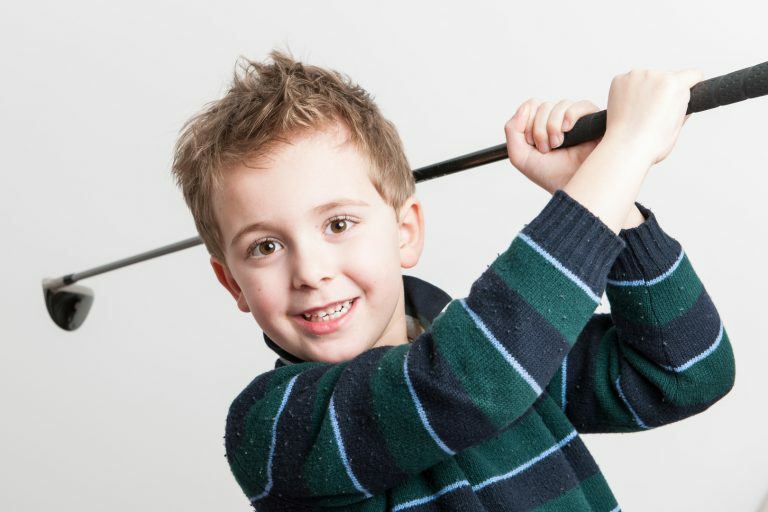 Kids often get frustrated when they can’t hit the small golf ball in the air. (just like us adults!) The larger ball makes golf easy and fun to learn. When children feel successful they feel more positive and excited about learning. Saturday morning choose 9 or 10 a.m.
Sign up with your email address to receive our latest free videos and updates. For more than 30 years, TOP 50 Golf Instructor Don Peterson has forged a path to better golf instruction. Don developed StartGOLFnow for beginners, Baseball Golf to transfer your baseball skills to golf, Miyagi Golf as a better way to train, and he designed The Swing Factory as the perfect environment for learning. If you love golf, you’ve come to the right place. © 2019 The Swing Factory. All Rights Reserved.